April 29, 2010—The U.S. Consumer Product Safety Commission, in cooperation with the firm named below, today announced a voluntary recall of the following consumer product. Consumers should stop using recalled products immediately unless otherwise instructed. Manufacturer: LaJobi Inc., of Cranbury, N.J. Hazard: The drop side hardware can break or fail, allowing the drop side to detach from the crib. When the drop side detaches, a hazardous gap is created between the drop side and the crib mattress in which infants and toddlers can become wedged or entrapped, posing a risk of suffocation and strangulation. In addition, children can fall from the cribs when the drop side detaches or fails to lock. Incidents/Injuries: CPSC and LaJobi have received a total of 99 reports of drop side incidents, including hardware breakage and drop side detachment. There were two incidents in which children became entrapped in the gap created by the detached drop side. Both children were freed by their caregivers. There were six reports of children falling due to drop side failure, including one report of a mild concussion. 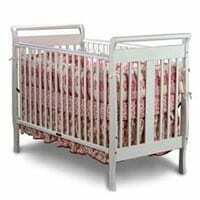 Description: This recall involves LaJobi-manufactured Graco® wood cribs. The full size cribs were sold in cherry, espresso, natural and white finishes. The production date, item number, purchase order number and finish name is printed on a label affixed to the footboard or headboard. “LaJobi” and the crib model name are printed on a product sticker located on the stabilizer bar or bottom rail of the crib. Affected models are listed below. Sold at: Children’s product stores and other retailers nationwide from February 2007 to March 2010 for between $140 and $200. 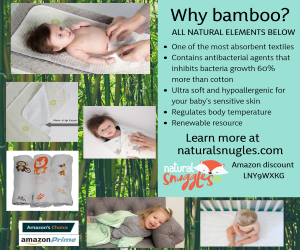 Remedy: Consumers should immediately stop using the recalled cribs and contact LaJobi to receive a free hardware retrofit kit that will immobilize the drop side. CPSC urges parents and caregivers to find an alternative, safe sleeping environment for their baby. Consumer Contact: For additional information, contact LaJobi toll-free at (888) 842-2215 anytime, or visit the firm’s Web site at www.LaJobi.com.